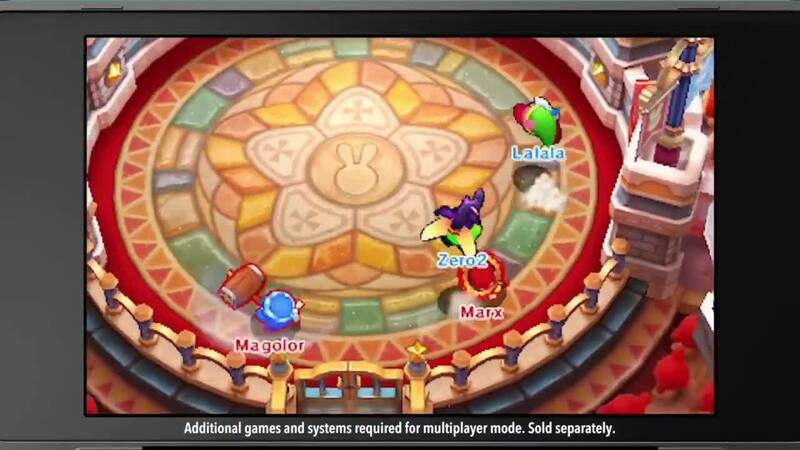 What this is though is a multiplayer-focused Kirby game, aiming for the kind of simplicity that anyone can jump into. In theory, this is great. 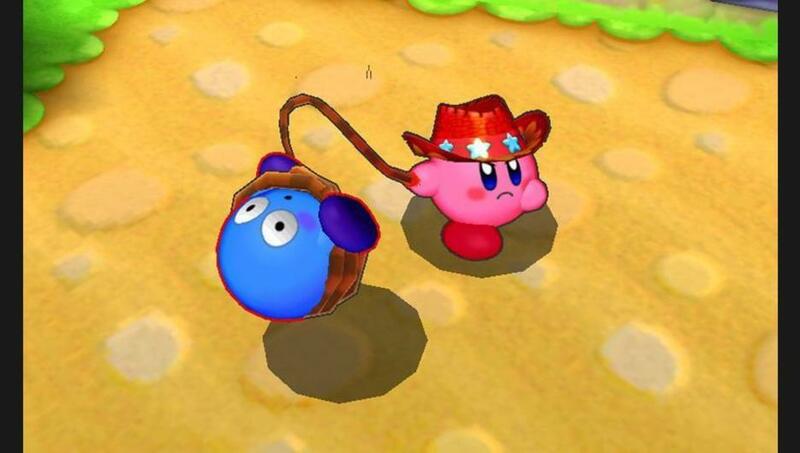 There are so many abilities that he can use in these battles, like Sword Kirby, Beetle Kirby, Cowboy Kirby (he has a whip so maybe that should be Whip Kirby?) and so on – the list really does go on, Kirby’s had so many transformations over the years. It’s probably a good thing his Smash Bros. forms weren’t included too. In multiplayer, all of these abilities work well. Not great, just well. The fact is, when making a multiplayer game with Kirby whilst still attempting to stick to those core design philosophies of simple to approach and simple to play, you lose out on any nuance that could come from it. You don’t really “get good” at Kirby: Battle Royale. If you’re a younger gamer or child, then you’ll get good by understanding how to control a character in 3D space, perhaps. The point is, unless this is one of your first games ever, you’ve probably already hit your skill cap. What mash a button for a combo, and another for a dash attack. That’s basically the battle controls for every Kirby transformation. Sure, Bomb Kirby stands back a bit and throws bombs. Bomb Kirby is also one of the most boring transformations to play as unless you’re really trying to frustrate your friends. And friends are the best way to play this game. After all, this is a multiplayer focused game. Thank goodness they decided to throw in online multiplayer. Just a shame that the servers are, well, empty. Over a week has gone by since its EU release, and servers are still vacant, making it incredibly difficult to actually get a four-man team together to play the game. Without a decent online presence, Kirby: Battle Royale seems like an almost pointless game to play. That is, of course, unless you have a bunch of friends with 3DS systems. 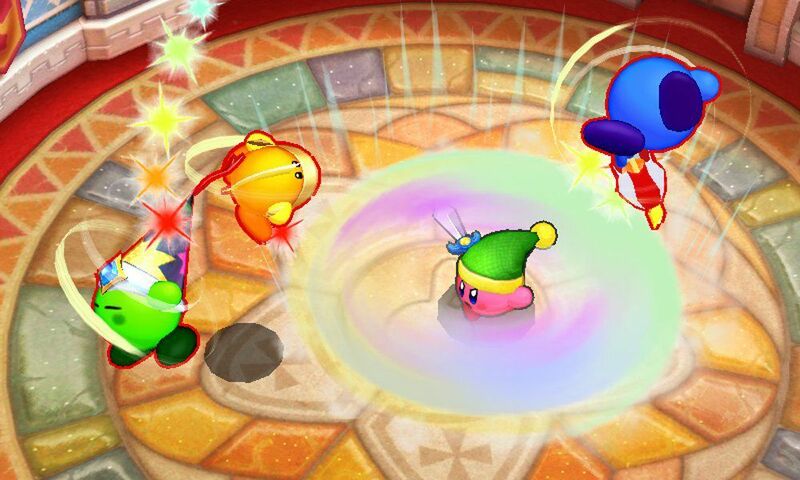 Kirby: Battle Royale features Download Play, where other players who do not own the game can download a small portion of data, and then they can join in with the multiplayer fun. Sure, they lack a few Kirby abilities, but it’s a small price to pay to get full four-man multiplayer up and running. And when it is up and running, it can be fun – just about as fun as any game can be when you can scream at your friend from the other side of the room. Like Monopoly. Or absolutely anything else. Not only that but releasing this game now near the Switch launch is one of the most baffling things Nintendo has ever done. This is a game where, for the majority of play, all the action takes place on a single screen, with the camera not flinching – almost as if it would be a perfect game to play on a TV, with your friends gathered around, each with a JoyCon in hand. Instead, it’s a 3DS game, and do you know how hard it is to get people to bring their 3DS consoles out and about with them when the Switch is out? I tried it. It’s impossible to summon three friends and their 3DS consoles, especially when they’ve got Super Mario Odyssey and Zelda: Breath of the Wild to play. Two years ago, I can imagine Kirby: Battle Royale having a great online following and loads of people getting together at StreetPass events to play with one another. Now? Kirby: Battle Royale is honestly best left in the past. Nintendo still has a chance to redeem this game, simply by porting it to the Switch and allowing for multiplayer on a single, big screen. But until then? Just don’t bother. The minigames aren't all bad, but it just doesn’t feel worth it as a full price retail release.